In the two-part article about the Gut and Psychology Syndrome (GAPS) Diet I wrote for the last two Beeyoutiful catalogs, I recommended Tummy Tune-Up as a moderate-priced, quality probiotic alternative to the excellent-but-more-expensive version created by Dr. Natasha Campbell-McBride, author of Gut and Psychology Syndrome. About the time the last catalog went to press, and unbeknownst to me, the manufacturers who supply Tummy Tune-Up to Beeyoutiful updated the product label, noting that TTU includes trace amounts of soy and gluten peptides because of possible cross-contamination from other products manufactured on the same equipment. 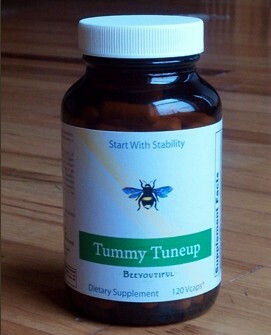 A few Beeyoutiful customers who follow GAPS were disappointed to discover this possibility in Tummy Tune-Up (so was I). 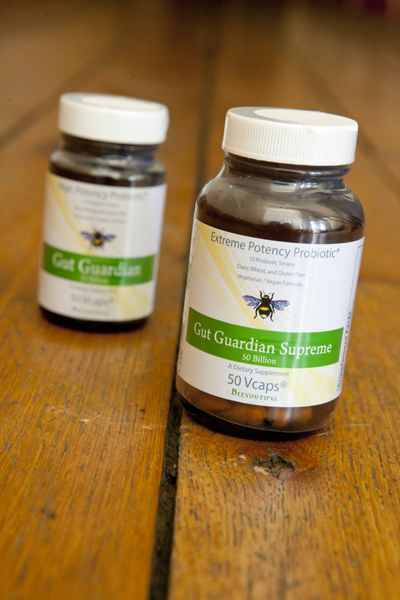 At the same time, Beeyoutiful introduced two new, extra-strength probiotics: Gut Guardian and Gut Guardian Supreme. The timing was perfect, especially for GAPS-oriented customers! 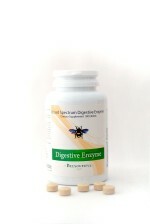 I hope this article will help you decide which probiotic is best for your needs. GAPS does not allow use of any soy- or gluten-containing products, or grains. So, following up on what traces might be found in the “new” Tummy Tune-Up, I learned that “peptides” are tiny pieces of the whole soy or gluten protein molecules. Of the 2700+ peptides which make up gluten, scientists have narrowed down the troublemakers for celiac and gluten-sensitive patients to just three of those thousands. This means the likelihood of harm from the possible trace content in Tummy Tune Up is very, very slim—reassuring news, for sure. 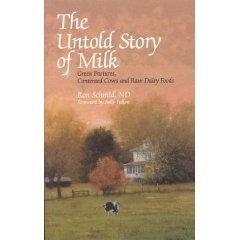 The GAPS Diet also does not allow any FOS (fructooligosaccharides), sometimes called inulin on product labels. The Diet is designed to eliminate all polysaccharides (“many-sugars”) because they are difficult for an unhealthy gut to digest. FOS are considered polysaccharides since they are made from complex chains of glucose-fructose molecules. They are found in foods like garlic, onions, bananas, wheat, asparagus, and chicory root. When used in probiotic supplements and some commercial yogurt and kefir, FOS are usually refined from chicory. So why are FOS found in many probiotic products these days? FOS are considered to be a “prebiotic,” meaning they stimulate the growth of the beneficial bifidobacteria. These suppress harmful pathogenic bacteria and yeasts. This helps good bacteria do their thing even more efficiently and paves the way for more nutrients to be absorbed by the body. Because FOS are an insoluble, indigestible fiber, they act as any other food fiber to “sweep” the digestive tract. Some people even take supplements of FOS as a natural, fiber-based regularity product. Opponents to the use of FOS in probiotics say they might also feed bad bacteria and the yeast present in an unhealthy gut, just as other sugars and starches do. They also say the indigestible fiber leads to abdominal bloating and cramping—which the GAPS Diet is intended to minimize—because unhealthy digestive tracts don’t do well with fibrous foods. 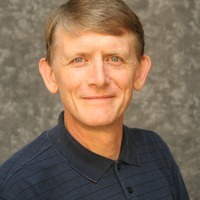 Dr. McBride clarifies at her www.gaps.me website that even the people sensitive to a prebiotic at first can usually handle it after some gut healing has taken place. Like trace soy and gluten, the FOS in probiotics is present in only a tiny amount, just enough to enhance the good bacterial action, and it typically breaks down before causing irritation. On the other hand, the inulin in some powdered stevia products, for example, has a much greater concentration of FOS and is present only to bulk up the stevia and render it more like a traditional sugar for baking purposes. That is a form of FOS GAPsters should definitely avoid. If you are going to the trouble of following the GAPS Diet, if you are following a yeast-killing regimen, or if you just want to improve your overall health, you will be more successful if you take an excellent probiotic along with eating a good diet. But don’t trust the drugstore probiotics. While they might claim to have billions of strains, the good bacteria may not even be alive after months on the shelves, or there may be unhealthy fillers. There are some good choices available at reputable health food stores, but usually you’ll pay top dollar. You’ll need to take them for a good while if you’re on a health quest, so those extra dollars will add up. 1) Acidophilus Blast. 3 strains; 10 billion organisms potency at time of manufacture (8 billion potency guaranteed per capsule); needs refrigeration, no soy or gluten but does contain milk derivatives and potato starch; no FOS or maltodextrin. $20 for 120 caps. 2) Tummy Tune-Up. 8 strains; 4 billion organisms potency per capsule; enteric coated (to help it withstand stomach acid so more of the good stuff reaches the intestines where it’s needed); stable at room temperature; contains FOS and maltodextrin. $18 for 60 caps. 3) Ultimate Defense. 13 strains; potency of 1 billion organisms per capsule; also contains fermented greens bringing with them live enzymes and naturally occurring probiotic strains; some green superfoods; fermented molasses and chicory root inulin/FOS; no soy but does have milk derivatives; stable at room temperature. (Not recommended for GAPS but excellent choice otherwise.) $30 for 90 caps. 4) Gut Guardian. 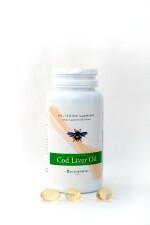 10 strains; potency of 25 billion per capsule; contains FOS; no allergens from milk, soy, or gluten; needs refrigeration. $30 for 50 caps. 5) Gut Guardian Supreme. 10 strains; potency of 50 billion organisms per capsule; contains FOS; no allergens from milk, soy, or gluten; needs refrigeration. $50 for 50 caps. For comparison, the GAPS-promoted probiotic contains: 14 strains; potency of 2 billion organisms per capsule; soy and milk ingredients; maltodextrin; needs no refrigeration. $50 for 120 caps. Teen from 12 to 16 years—12-15 billion/day. To get as many beneficial bacteria as possible through your acidic stomach and into your intestines where they are most needed, take your probiotic at the start of a meal, preferably breakfast and supper. 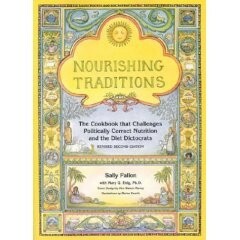 Your food will help neutralize stomach acids. Be sure not to drink or eat anything super hot (ginger tea or bone broth soup, for example), because high heat will kill probiotics. If you or your child cannot swallow a pill, the capsules can be opened and the contents sprinkled over food or mixed into tepid liquid. Eventually, when you have reclaimed your gut health—which can take as long as two years—you will be able to maintain a healthy gut flora simply by regularly eating fermented foods like yogurt, kefir, and sauerkraut. I hope this explanation has helped you digest (pun intended!) the sometimes confusing ins and outs of probiotics. If you have further questions, please contact the knowledgeable customer service staff at Beeyoutiful. 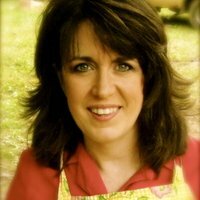 Nancy Webster is a homeschool mother of eight and leader of the Southern Middle Tennessee chapter of the Weston A. Price Foundation. She enjoys moderating the online health forum for Beeyoutiful.com. 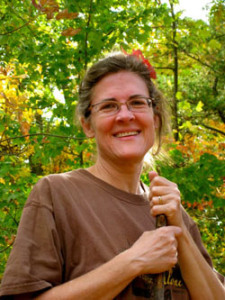 Nancy lives with her family on their “partially working” farm in Tennessee. 3 If you give a probiotic a good try—like a few weeks—and you continue to experience negative reactions, maybe you should try another brand or go really simple and stick with just the SCD-Diet legal probiotics: pure acidophilus and pure scdophilus. More info about this can be found in the Gaps Guide by Baden Lashkov, available from www.gapsguide.com, another helpful website. At least one mother of a GAPS patient used milk kefir grains as her son’s probiotics, because he could not tolerate any supplements at all. 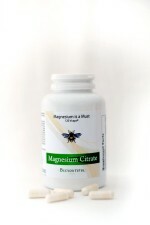 Although this was unusual, it provides another option for those who might not be able to swing the cost of probiotics.